Due to the rise in popularity of short term rental services like Airbnb, local governments are implementing regulations to protect constituents and help properly distinguish between casual rentals and more serious businesses. Unfortunately, because these regulations can be confusing and intimidating, constituents often find it challenging to comply with them, and may simply end up ignoring them. Because properly regulated short term rentals translates into both increased revenue for city government and improved quality of life for residents, we've made it a top priority to enable constituents to get the permits and licenses they need as simply, quickly, and easily as possible. Interested in giving your constituents a simple way to license their Airbnb's? 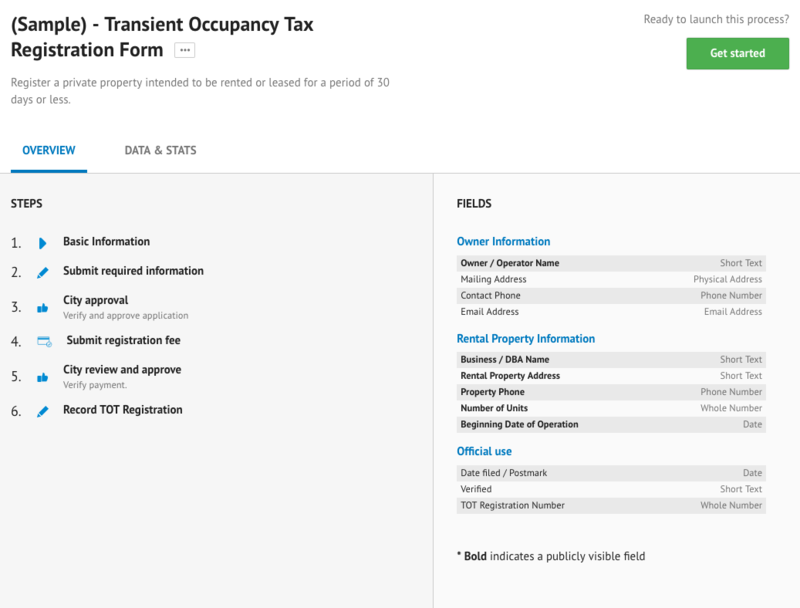 Clone our sample transient occupancy tax registration form and tweak it to your liking.